A couple of new things related to my Radium Girls post have crossed my path this week, so I thought I’d drop them here for anyone who’s interested. will glow forever in the black earth. Len Grossman has posted a couple hundred newspaper clippings of the trial on his website. His father (Leonard J. Grossman) was one of the attorneys who represented some of the dial painters “all the way to the supreme court” when they sued the Chicago-based Radium Dial Company. And finally, the radium girls get a small cameo in this xkcd comic. 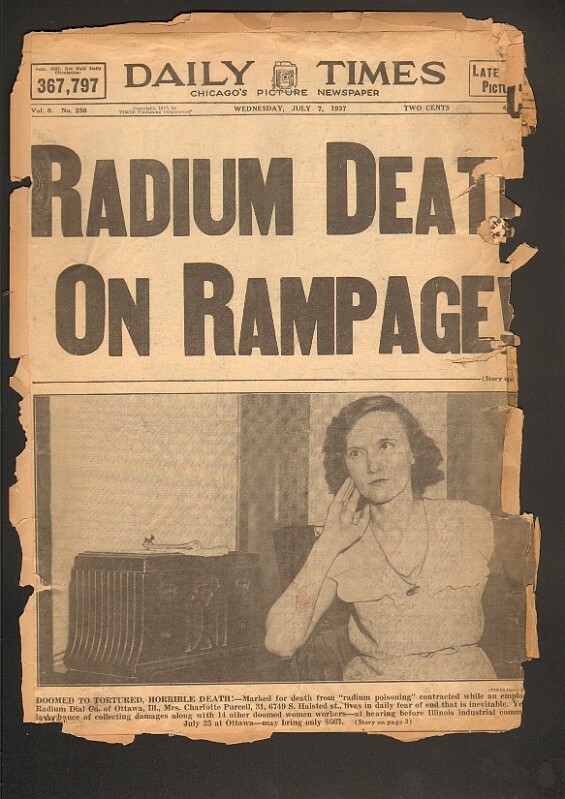 Of course there are a lot more stories, articles, and other resources on the radium girls. Somehow, this story haunts readers. It seems as though many who stumble onto it, whether researching another topic or just in passing, feel compelled to say something more — to write a poem, compose a play, make a film, explore it in a blog post, or even take the time to scan and post the yellowed pages of 70 year-old newspapers. What drives this need to connect with this story–these girls– is, I think, something more intimate than just the tragedy of a poisoning. It is certainly something that resonates more deeply than one more in a series of corporate coverups. No, the response to the radium girls goes as bone-deep as the radium itself. To me it has to do with the vision of these carefree young ladies –teenagers some of them– laughingly applying this glowing substance to their faces and bodies, as though their youth alone wasn’t radiant enough. It’s not so much the images of the dying that haunt me. 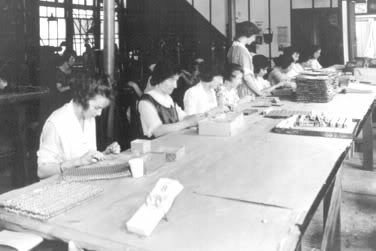 It’s the images of the living — hundreds of cheerful independent women, working in a time when women didn’t have a lot of opportunities, simply turning a routine factory job into playtime. For that bit of brightness, they died. 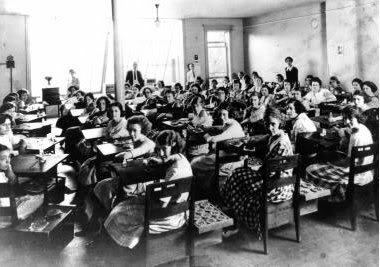 It would SEEM that the Radium Girls must only inspire horror, tragedy and pathos, but since my first encounter with the Radium Girls and Professor Swanson, I stumbled on something quite startling and entirely unexpected. “Nothing Sacred” is a famous “screwball comedy” from 1937, starring Carole Lombard and Fredric March, and written by America’s funniest Twain-class literary wits, including Ben Hecht, Ring Lardner, Jr., Budd Schulberg, Dorothy Parker, Moss Hart and George S. Kaufman. But the plot is about a Radium Girl, a young radium watch painter whom the world (and the tabloid media) believe is dying of the ghastly industrial scandal. She’s fine, actually — but succumbs to temptation and lets a big newspaper stake her to a free month public pre-death celebration in New York so the world can watch the brave girl die day by day. The movie speaks for itself eloquently. But I was authentically shocked to see American industry’s most horrific tragedy turned into a naughty (and highly insightful social commentary) knee-slapper. btw there’s still lots of radium glow-in-the-dark watches and aviation dials at tag sales and antique stores. Thanks Bob. That’s fascinating. I skimmed through the movie on Youtube. In addition to the whole radium girl thing, there’s something decidedly disturbing about the bedroom “fight scene” (1:04:00) where the “screwball comedy” is around her inability to lay a glove on him and his ability to throw her, kick her and finally nail her squarely with a punch to the face. tabloidy media figures out how to sell newspapers and advertising revenue from the human tragedy. One of the very few nifty things about being old is the perspective it gives you on the evolution of social issues. The most popular TV comedy of my childhood, “The Honeymooners,” starred a married couple. Ralph regularly threatened Alice with a punch in the face that would launch her to the moon. These domestic verbal assaults were played as comedy and generated howls of laughter from the audience. One test of great theater — comedy or tragedy — is how well it still thrills new modern audiences, how popular it is with the grandkids of those it was first written for. Some sadly is painful and uncomfortable to watch.